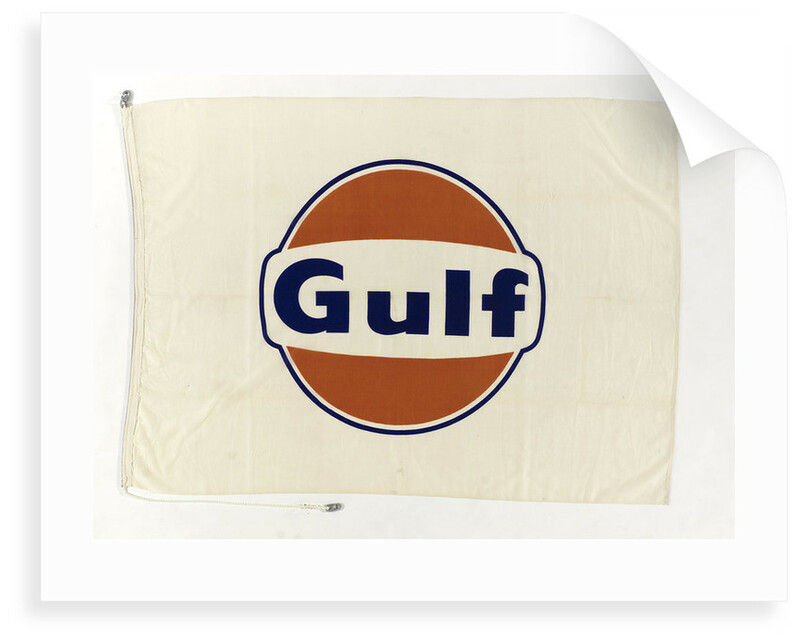 The house flag of the Gulf Oil Corporation, New York. 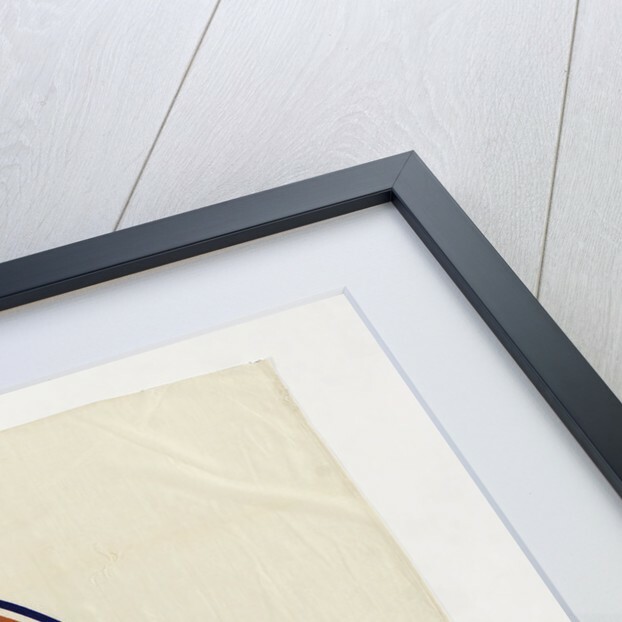 A rectangular white flag. 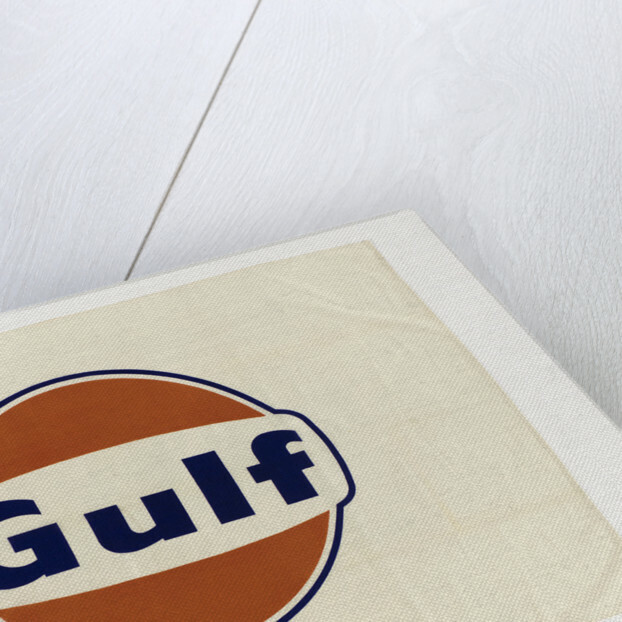 The name 'Gulf' in blue letters is placed on a white strip across an orange disc with a blue border. The flag is made of a wool and synthetic fibre bunting. It has a cotton hoist and is machine sewn. The design is printed. National Maritime Museum, Greenwich, London, Pope Collection. 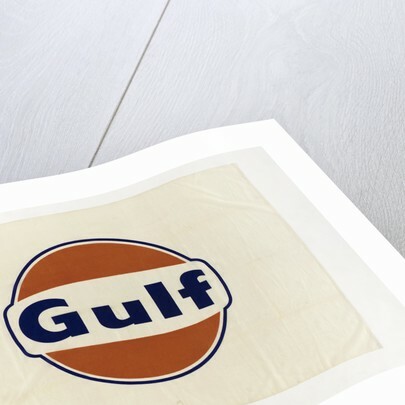 We regret that Museum enquiries have not been able to identify the owner of the flag's emblem and would welcome any information that would help us update our records.